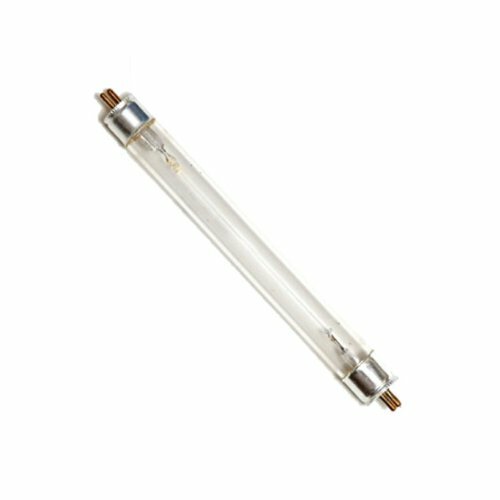 Wattage: 4W SuperLife: 10,000hrs Base: Mini Bi-Pin Lamp Shape: T5 Glass: Clear Quartz Glass UV Emission: 254nm Maximum Overall Length: 6" Super Life Hours 10,000hrs The lamp listed is compatible brand only. We do not sell EcoQuest/EcoQuest Fresh Air brand lamps. All EcoQuest/EcoQuest Fresh Air brand names, trademarks and logos are property of EcoQuest/EcoQuest Fresh Air. If you have any questions about this product by Light Spectrum Enterprises, Inc, contact us by completing and submitting the form below. If you are looking for a specif part number, please include it with your message.